Throughout the day, all the campers are working in small groups in hikes, classes, and workshops. They spend time all over the property. After dinner, the entire camp comes together for a large group event. Each night offers different opportunities. Monday Night has always been some sort of large athletic event. In 2013, we started developing a new obstacle course that every camper will have the opportunity to run. 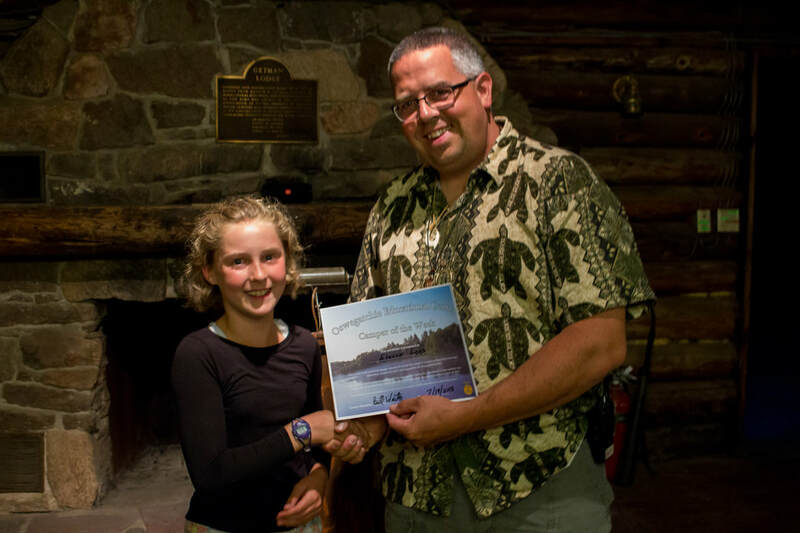 Click on "Dark Water Dash" and help us design the perfect course for camp.....there will be water, mud, sweat, and tears! Tuesday is the chance for campers to catch their breath after 48 hours of fast paced action. Dinner is a cook out which lets friends sit together regardless of campsite, and leads directly into the evening activity. We will have everything from basketball tournaments, haunted tours, popcorn, fortune tellers, and other games. Good Ol' Wishys is also here to scoop ice cream. 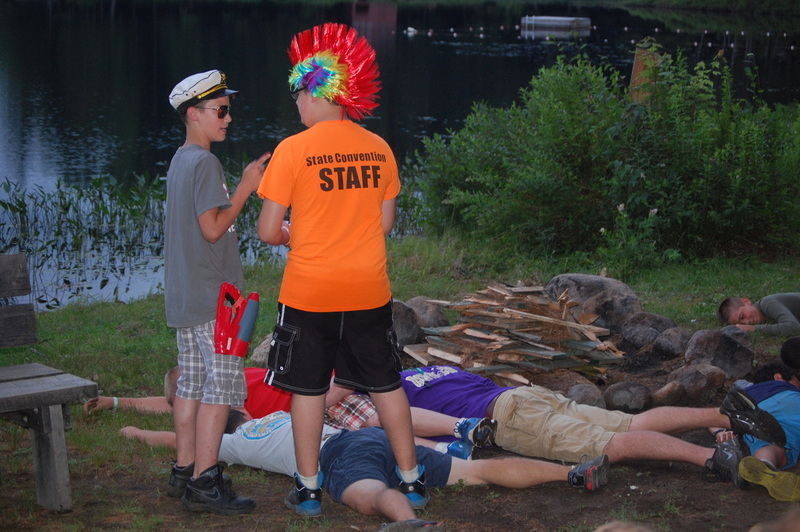 Wednesday is the night to sit back, relax, and enjoy the comedic and theatrical ramblings of your fellow campers. Not always what you think it will be, this evening gives those campers who are not as physical as others, a chance to shine! 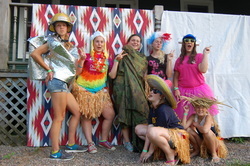 Thursday Night is the last evening and we use it to recognize accomplishment and celebrate the experience of camp. 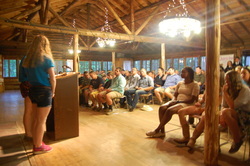 We have an awards ceremony in Getman Lodge. We finish the night with a dance that gets everybody's blood pumping. This is often the highlight of the week!